Mon, Jan 21, 2019, 09:12 pm SL Time, ColomboPage News Desk, Sri Lanka. 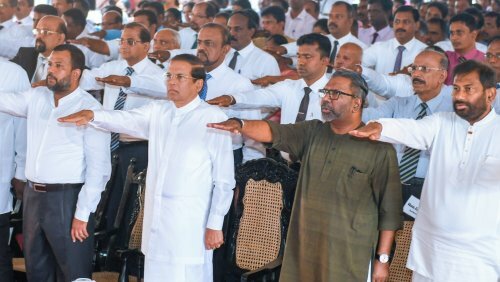 Jan 21, Colombo: Sri Lanka's President Maithripala Sirisena says the course of actions taken during the last four years against the illegal drug smuggling will be implemented with a new approach from next week. 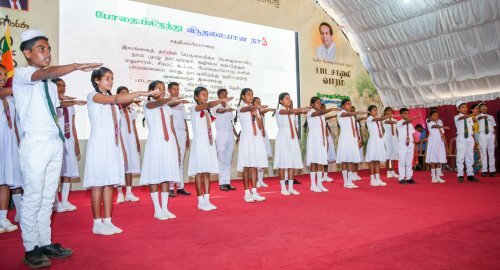 Addressing the inaugural ceremony held at the Vidyananda Maha Vidyalaya, Mulliyawal in Mullaitivu Monday to declare the National Drug Prevention Week, the President reiterated the government's decision to impose Capital punishment on drug traffickers. 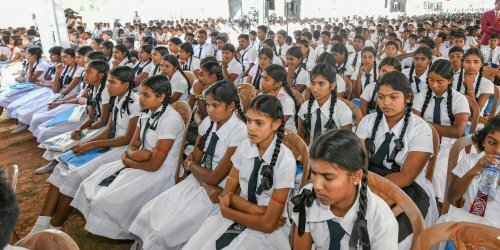 The ceremony got underway after 150,000 school children in Jaffna district took a pledge on drug prevention during the daily morning assembly at the schools. During the event the President officially launched the toll free telephone number 1984 to provide information on drug smuggling and related organized crimes. The President said that the Philippines is a country which was being destroyed due to rampant drug menace and due to the initiatives taken by the President of Philippines it has overcome this challenge. President Sirisena also said that even though he will not implement some decisions taken by the President of Philippines, he will not change several stern decisions taken against the drug traffickers due to the fear of NGOs. The President further said that although human rights organizations criticize tough decisions taken against drug dealers, they do not properly consider the damage done to the country, nation and the future of the children by illegal drugs and everybody is responsible for this issue. Information regarding not only the drug dealers, but other parties behind these dealers will also be revealed to the country, said the President. The National Drug Prevention Week is being declared from today until the 28th January with activities in schools from 21st to 25th January. The President said the best messengers to carry the message to the society are the school children and therefore, the President emphasized the importance of active contribution of school children for the prevention of drug trafficking campaign. Ministers Daya Gamage snd Rishad Bathiudeen, Governor of the Northern Province Dr. Suresh Raghavan, SLFP General Secretary Dayasiri Jayasekara, Angajan Ramanathan and Cader Mathsan, District Secretaries, Provincial Secretaries and Government Agents, Officers of the Army, Navy, the Chief of Defense Staff and the Chief of Defense Staff of the Army were also present on this occasion.